Frederick, MD, February 27, 2015 – Aviation Insurance Resources (AIR), ), a leading provider of insurance brokerage services, announced Friday that aviation insurance veteran Bill Snead has joined Aviation Insurance Resources as National/Signature Accounts Manager effective immediately. Bill Snead brings over 30 years of invaluable aviation insurance experience as an underwriter, agent, broker, and as the former President of the Aircraft Owners and Pilots Association Insurance Services. Snead has worked with clients in all major aviation insurance lines, including: pleasure and business aviation, commercial aviation, experimental, light sport, antique and warbird aircraft, workers compensation, and both small and large program accounts. Snead began his aviation career with Avemco Insurance in 1977 as a sales underwriter and over the next 20+ years rose to become one of Avemco’s top regional managers. Snead next worked with Falcon Insurance, while during his 14 year career there he launched and managed Falcon Insurance Agency Great Lakes, serving as vice president of that company. 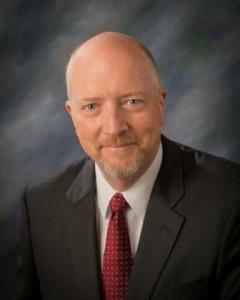 Most recently, Snead served as president of AOPA Insurance Agency in Wichita, Kansas. Snead holds a commercial pilot certificate with instrument rating and served in the U.S. Air Force as a C5A crew chief. He has a Bachelor of Science degree from Virginia Commonwealth University. Snead takes up his post as Aviation Insurance Resources enters its 17th year of serving the aviation community. AIR provides a full range of aircraft insurance and aviation insurance products to clients of all sizes, providing them with the best rates at the broadest coverages available.